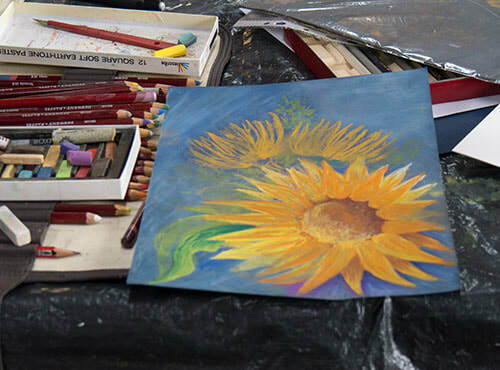 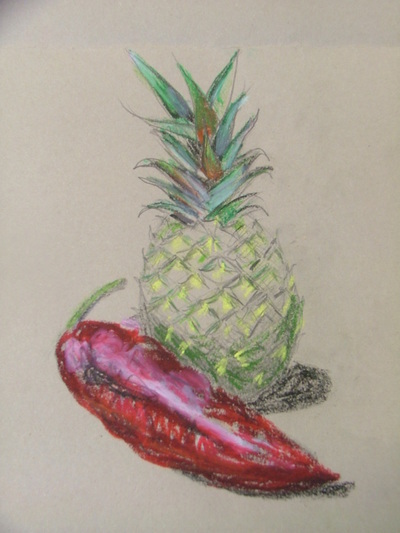 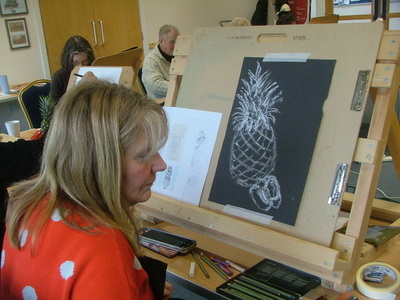 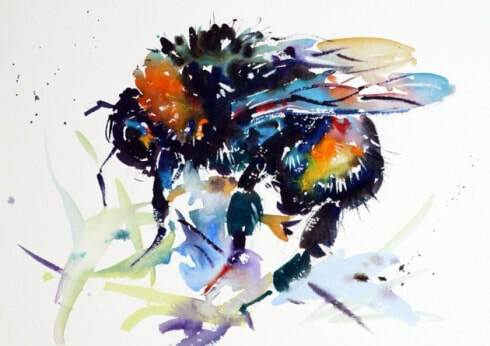 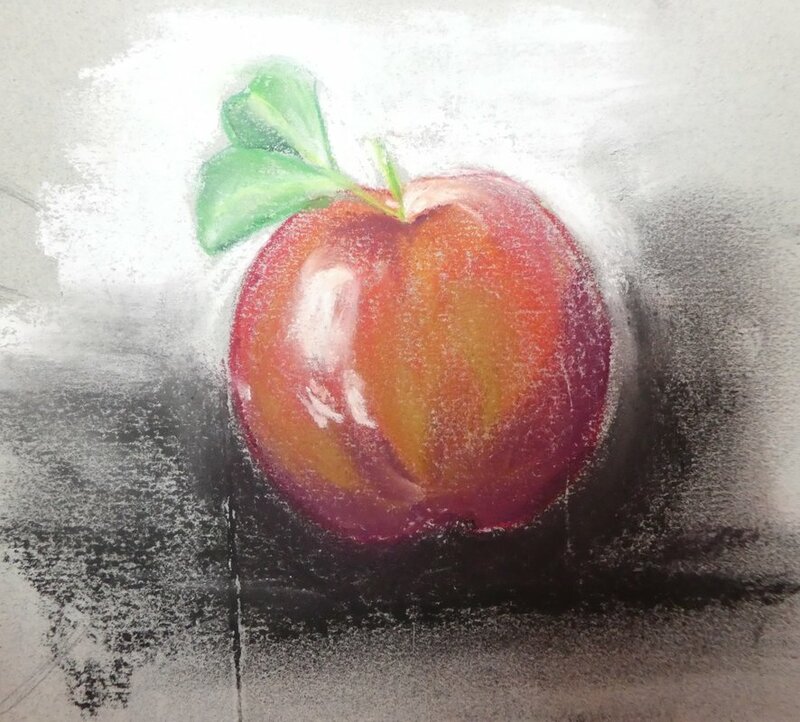 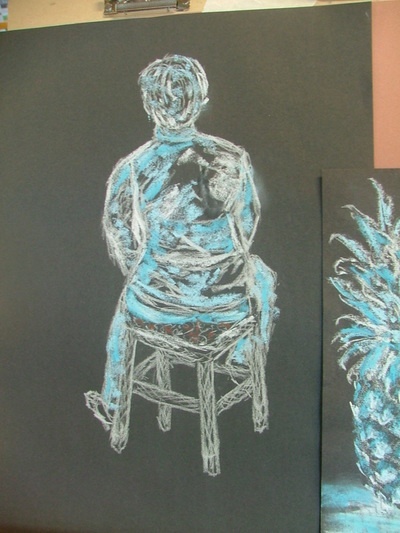 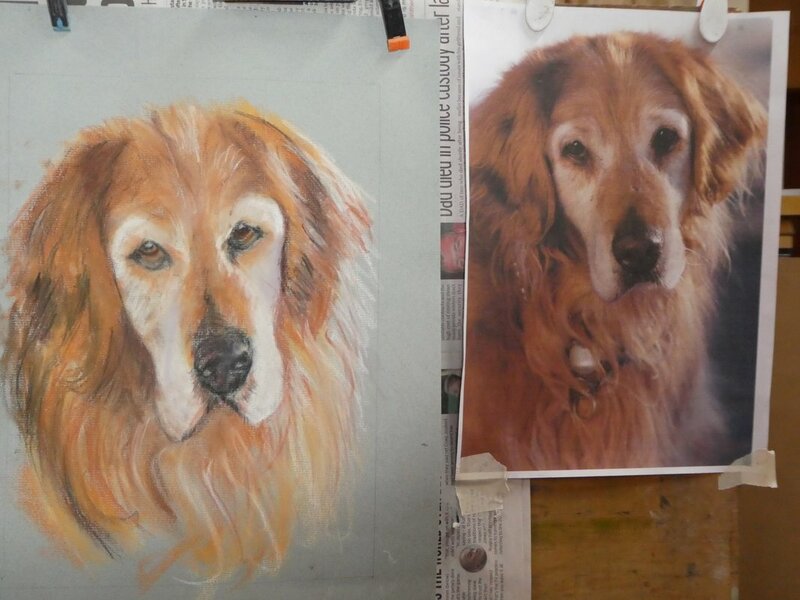 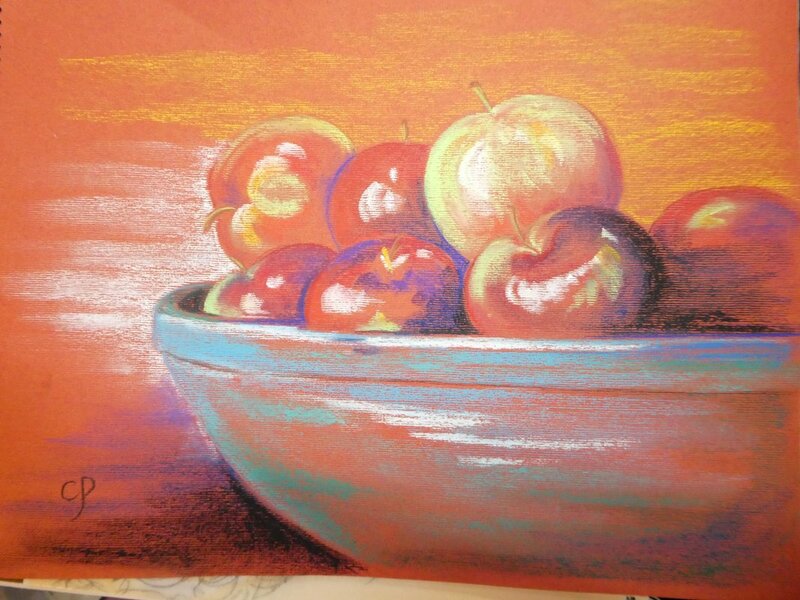 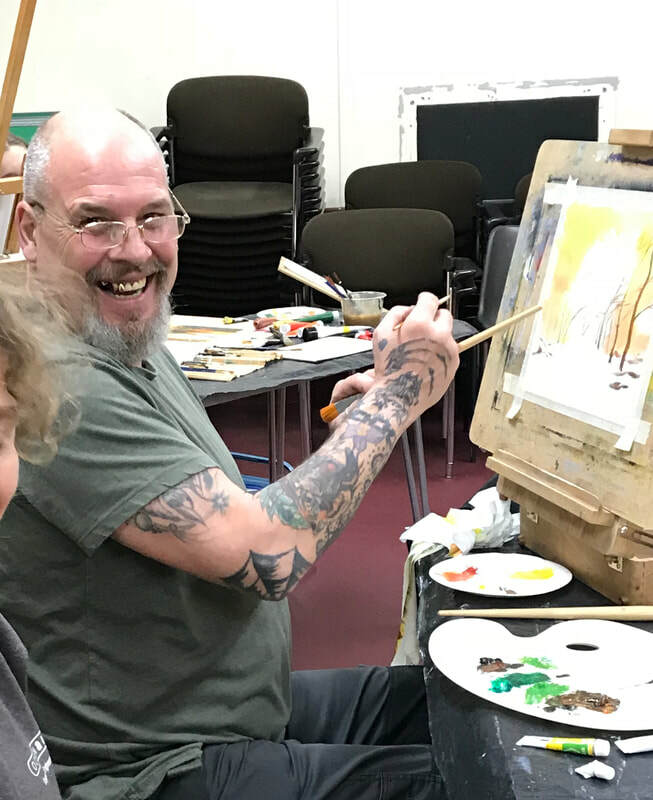 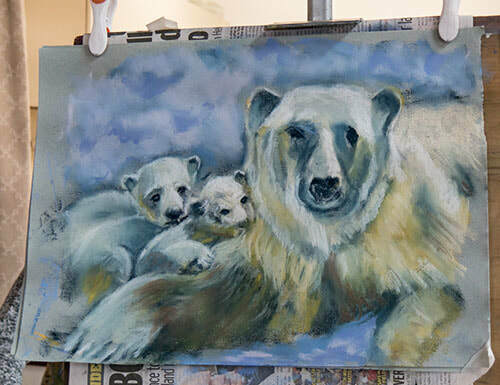 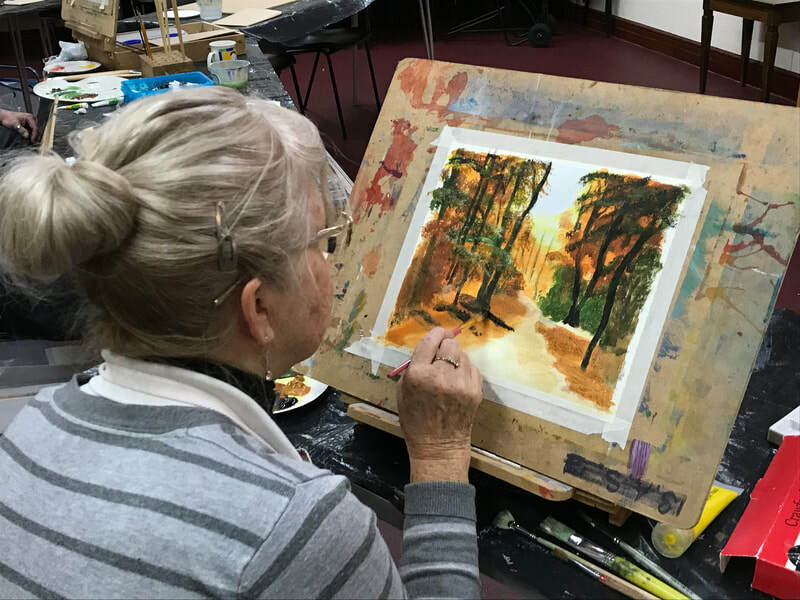 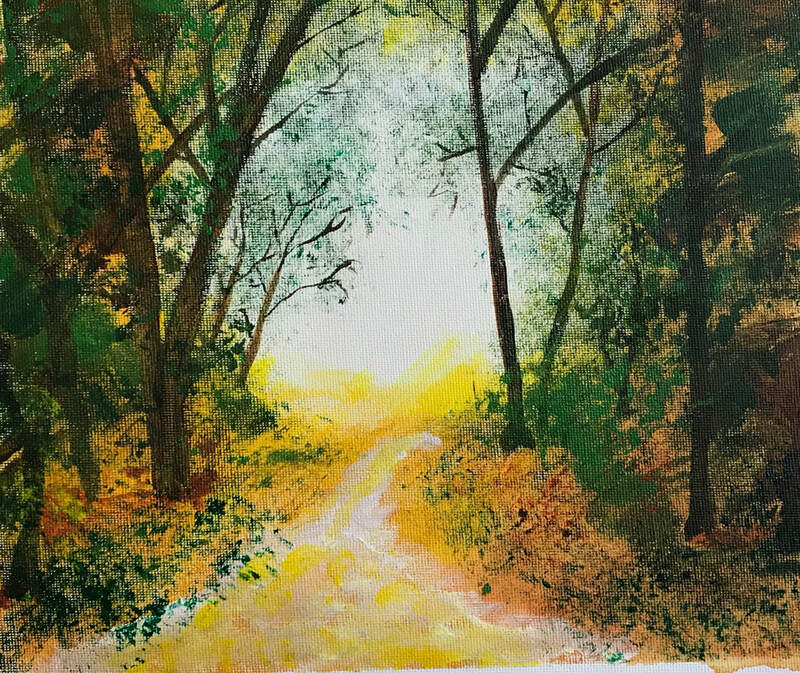 Members are free to do their own work but all have opportunities to practice their drawing skills, experiment with different media such as water colour, acrylic paints, oil paint, charcoal, graphite and pastels and mixed media. 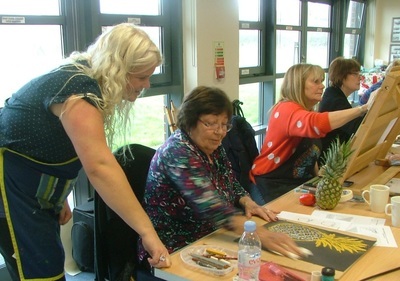 We have a useful selection of skill – based books which members may borrow. 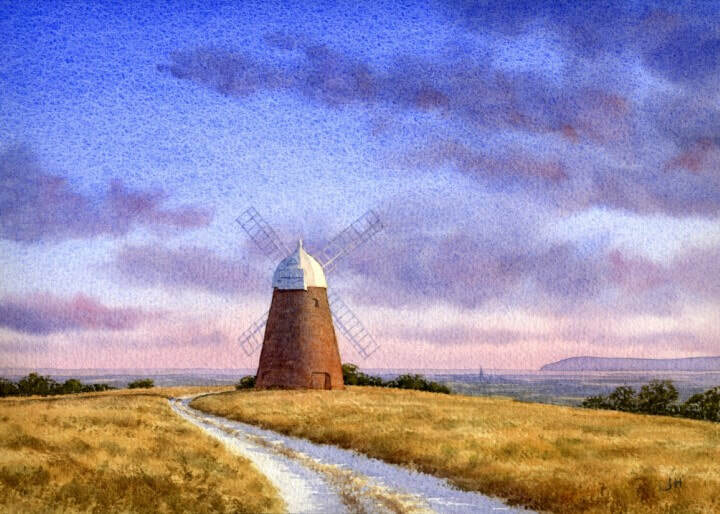 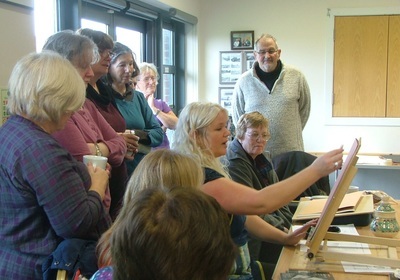 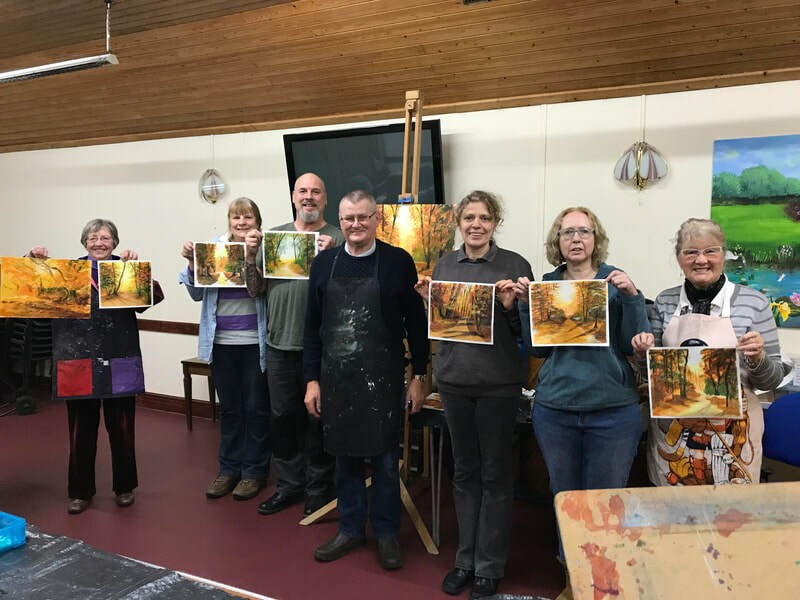 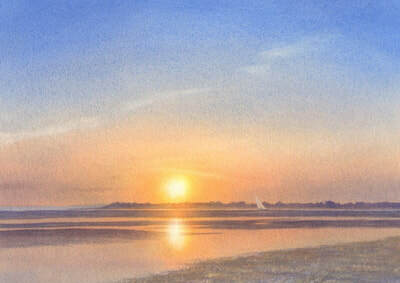 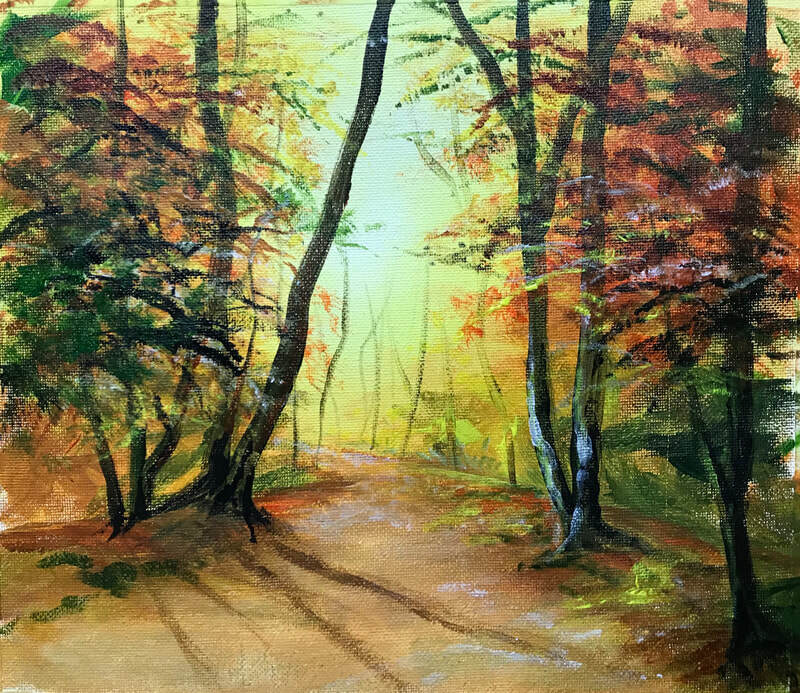 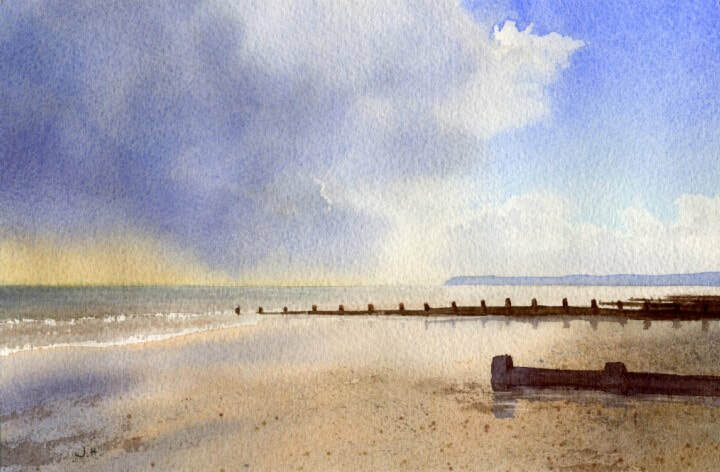 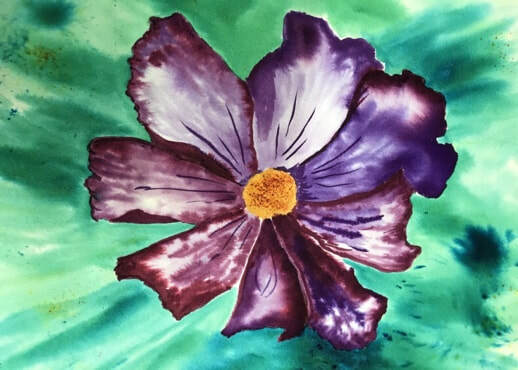 More experienced members are always happy to share their skills with the rest of the group and professional artists also come to run full or half day workshops. 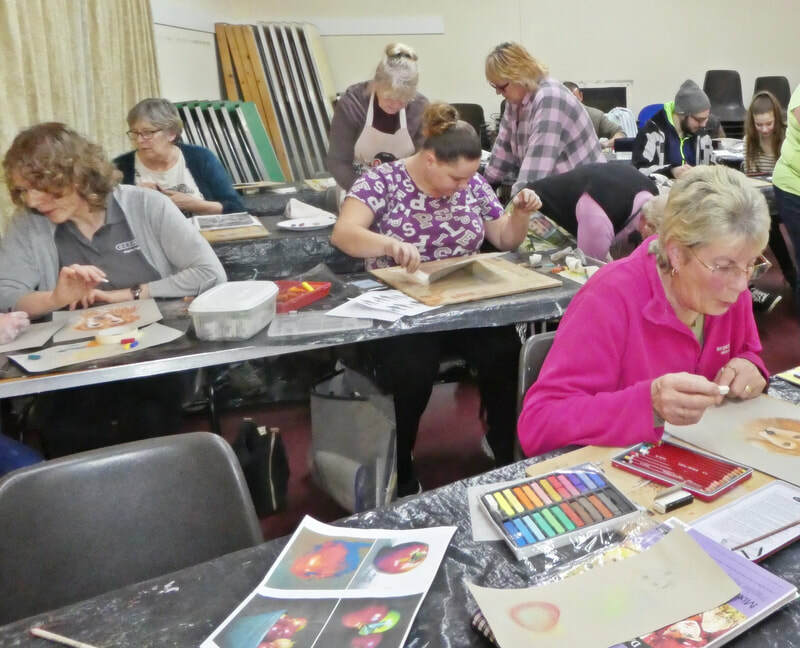 Some workshops are advertised in Selsey Life which are open to artists from Selsey and the surrounding area. New members are always welcome as this helps to stimulate new ideas and broadens our horizons!